Are you one of those Singaporeans who needs to get your A&W fix when visiting Batam? 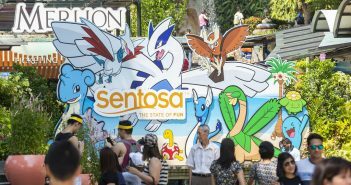 During our recent trip to the island organised by DFS Group, we discovered the wide range of tasty bites the island has to offer beyond the fast food chain–which, by the way, returns to Singapore in 2018. 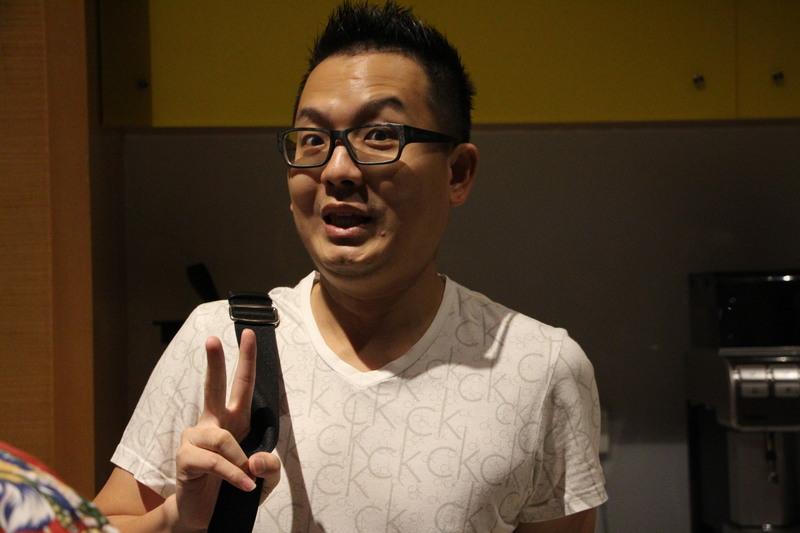 Popular Indonesian food blogger Chandra, more commonly known by his Instagram handle of @Batamliciousz, took us on a tour to check out some favourite local haunts. Here are some things to taste when visiting Batam. 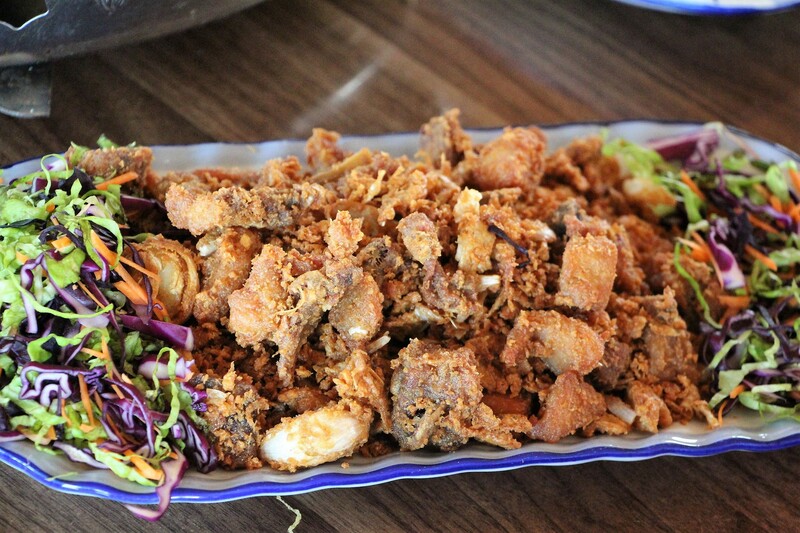 Chandra, aka Batamliciouz, takes us on a food journey in Batam. 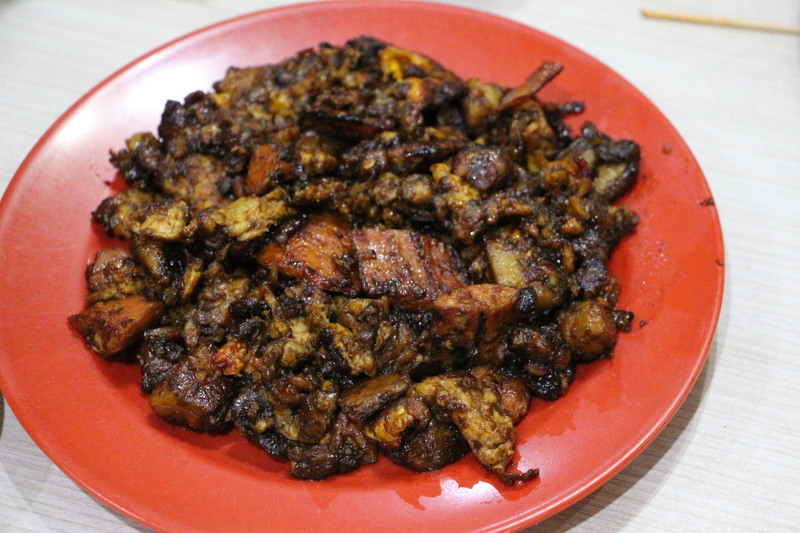 Cha Kue is commonly known as Chye Tao Kue or carrot cake in Singapore, where it is served either “white” or “black”, with a sticky sweet black sauce. The difference is in Batam the dish comes in many more variations. At a spot in Batam Park Complex popular with locals for BBQ seafood, we tried Cha Kue fried with flat white rice noodles and yellow noodles (“Cha Kue Campur”) and also Cha Kue with Otah Otah (fish paste mixed with spices). This is apparently the spot where the latter version was invented – a special that Chandra and the stall owner came up with. Cha Kue, or fried carrot cake with Otah Otah. I love salted egg dishes. While they have become a dime a dozen in Singapore nowadays, I was bowled over by the Batam version because there were many pieces of crumbly salted egg yolks and whites in the dish. It has been quite a while since I observed restaurants mostly making do with the standard, sweetish, bright yellow sauce concocted from mass-produced salted egg powder. This is the real salted egg deal! 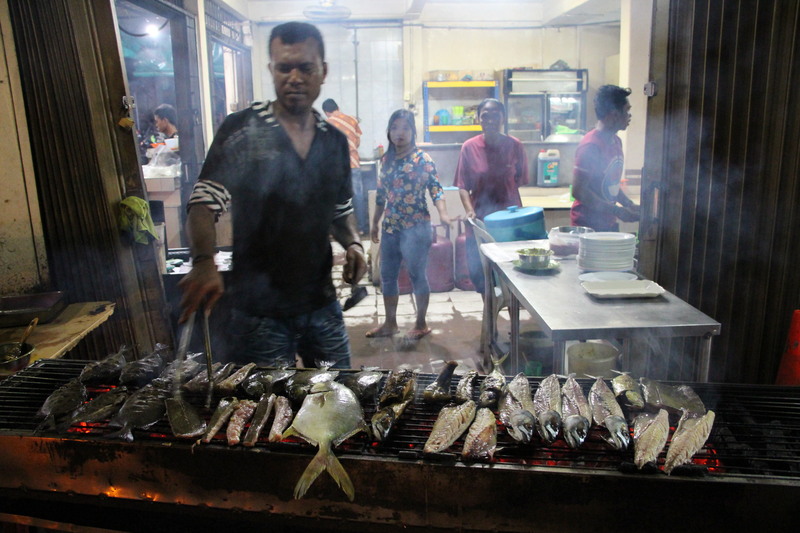 Being an island, Batam has plenty of fresh seafood. 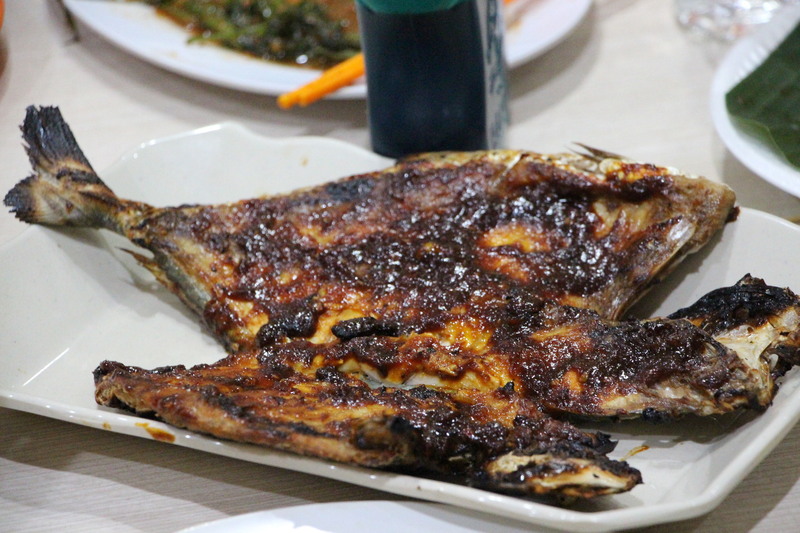 The same type of barbecued fish, for example, can be transformed into many dishes, after being enlivened through the use of different marinades, spices and sauces, which Indonesia is known for. I was surprised to learn that Martabak in the Indonesian context need not just mean a crepe filled with meat. Rather, it can refer to a sweet ,thick, delightfully gooey pancake with a wider range of fillings. We stopped at a stall which was using premium ingredients i.e. chunks of butter, nutella, entire Toblerone bars — you get the idea. 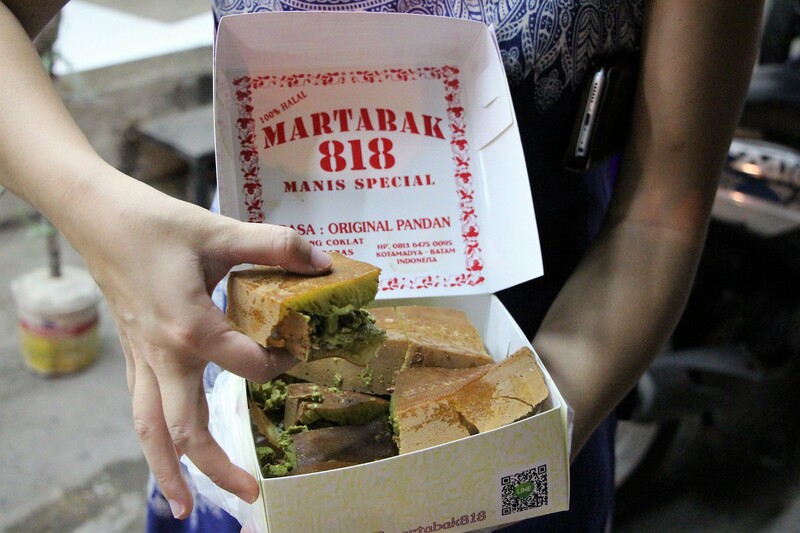 Martabak is a deliciously sinful treat in Batam. Brewsky & Co was the first microbrewery to pop up in Batam just three years ago. If you are there, do try the house brew on tap. The brewery serves some excellent bar bites as well, including deep fried pork knuckle bits that go so well with beer–and I confess, I had a great, thick avocado chocolate shake here too. 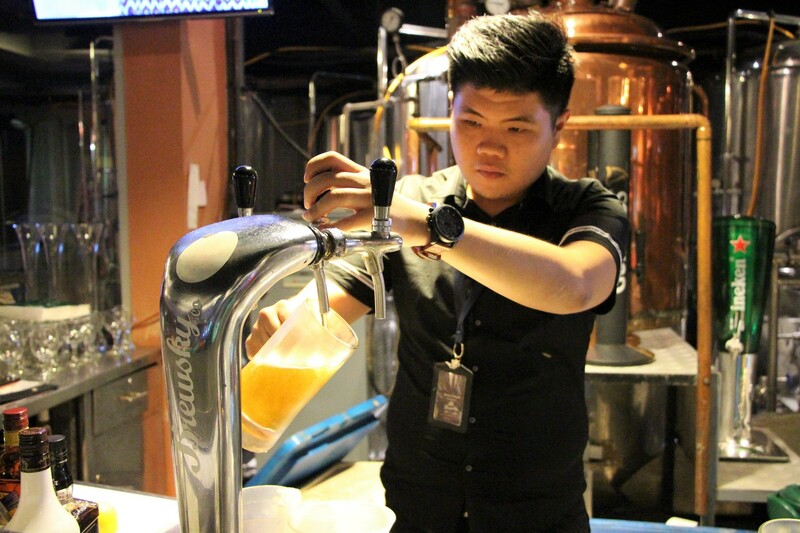 Brewsky, which calls itself the first microbrewery in Batam, is a good bar to check out. 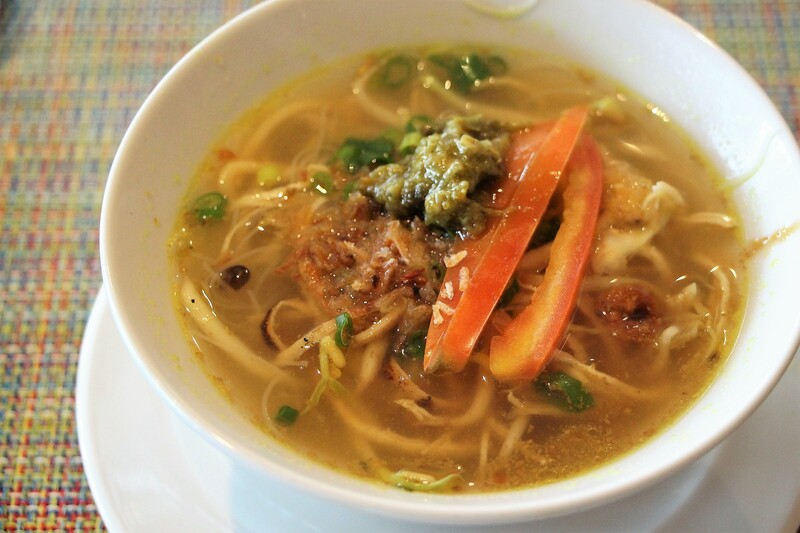 This ubiquitous yellow spicy chicken noodle soup is a local breakfast favourite. We can see why. Chandra brought us to Kopak Jaya 007, a popular seafood restaurant that serves all kinds of “zi char” dishes. 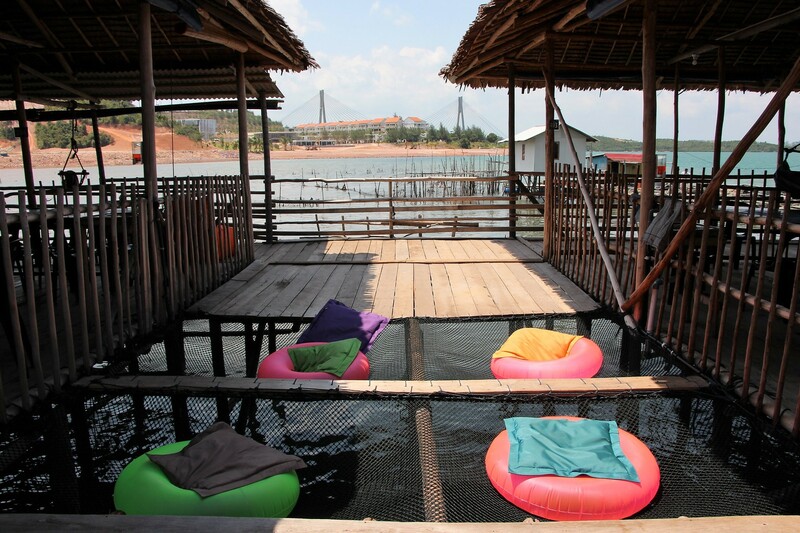 Located inside Tiangwangkang Old Settlement before Barelang bridge, the restaurant is built in the “kelong” tradition over the sea and provides a great view where you can take selfies against Batam’s landmark Barelang bridge. It came up with a modern twist to crayfish–who can resist melty, cheesy crayfish? 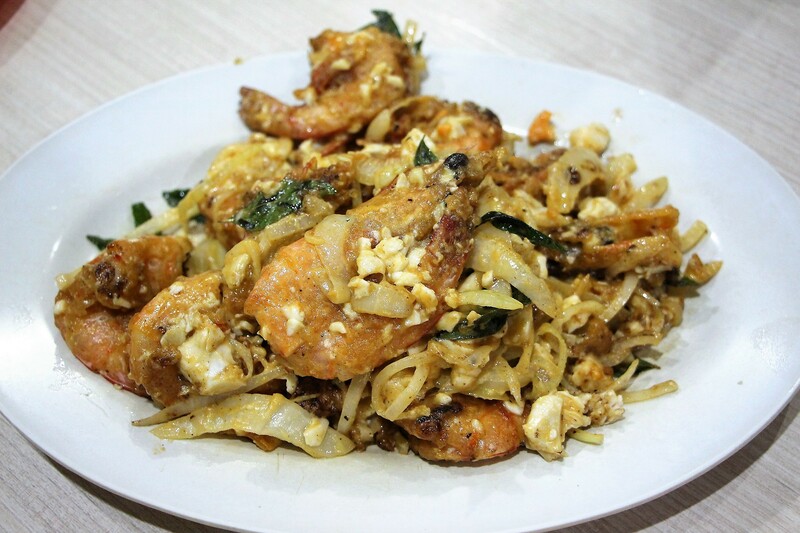 Kopak Jaya 007 is a great place to hang out and for kelong-fresh seafood. I loved the crunchy fried chicken at Kopak Jaya 007. Deep fried to a crisp and lean without the stringy fats under the skin that I’m always afraid of, it did not feel as sinful as it probably is. But honestly, fried chicken has never failed me in Batam, or anywhere in Indonesia. You could probably order it anywhere from A&W to a roadside stall and it will taste good. Could it be the chickens over there? Fried chicken at Kopak Jaya 007. 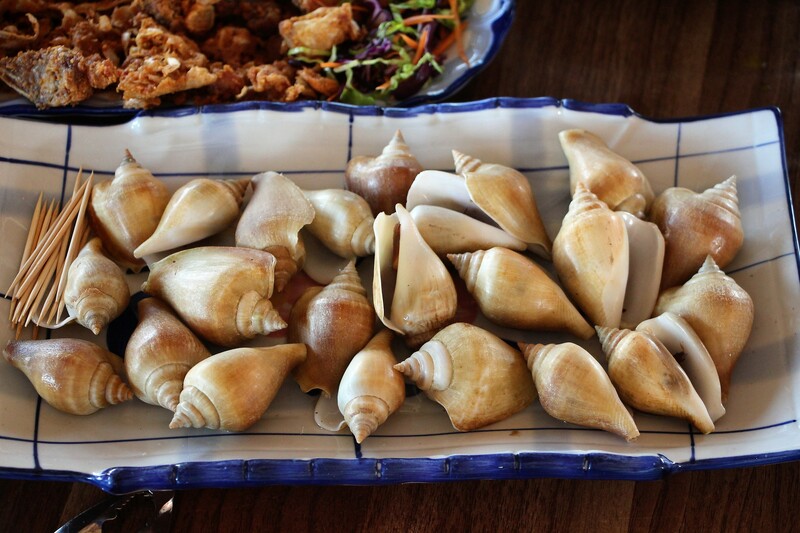 Gong gong are edible sea snails. There’s not much to say about flavour, but it’s pretty fun to grab a conch and prise the springy flesh out with a toothpick. They go well with an ice-cold beer and provide plenty of entertainment for the kids at the same time. Our next stop was Chemistree Cafe, an aptly named hipster cafe with a wide ranging menu that was as colourful as it was diverse. 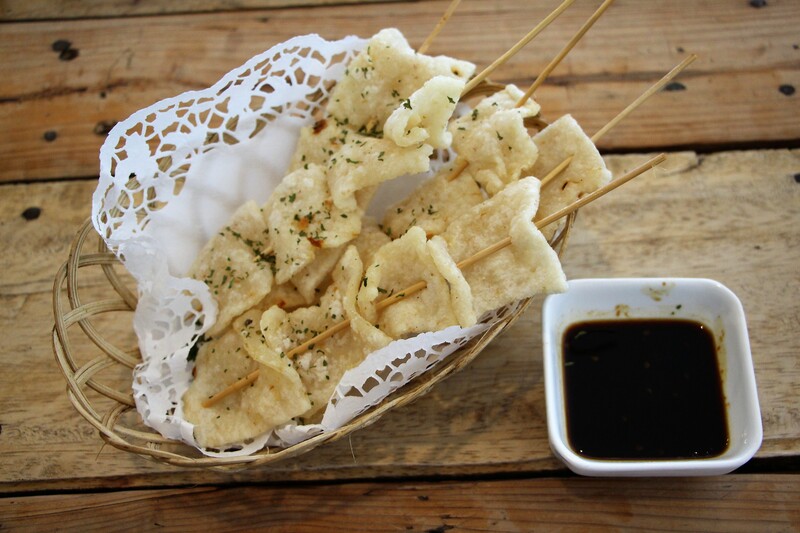 As a starter, Chandra ordered Sate Cireng, a Sundanese fritter made of sago flour that was dipped into a sweet and sticky black sauce. It looked and tasted a little like keropok, the fried cracker snack I am familiar with, but the difference is in the interesting chewy texture–the sago flour gave the fritter a stickiness that resembled mochi. Be warned — it is very addictive. Chemistree is located at Jalan Raja H. Fisabililah No 12B. There is no way you visit Indonesia without trying its beloved Indomie, even if you are not one of those who lugs cartons back home. Chemistree offers several Indomie dishes, but we tried the most dangerous-sounding of them all – the Indomie Devil. 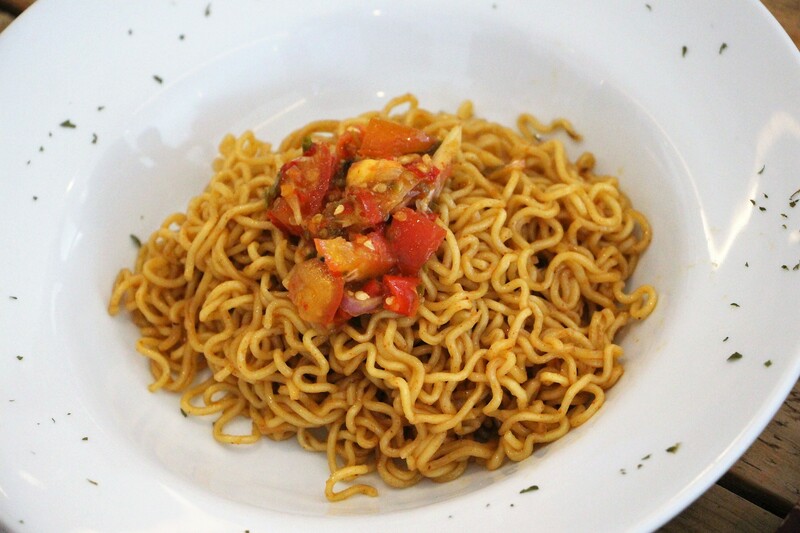 The Indomie Devil is described as “torched Indomie goreng with sambal dabu-dabu”. Despite being simple with just a topping of tomatoes, its spiciness made it my favourite dish at the cafe. Indeed, the humble instant noodle can be amazing. The Indomie Devil is in the spicy details. 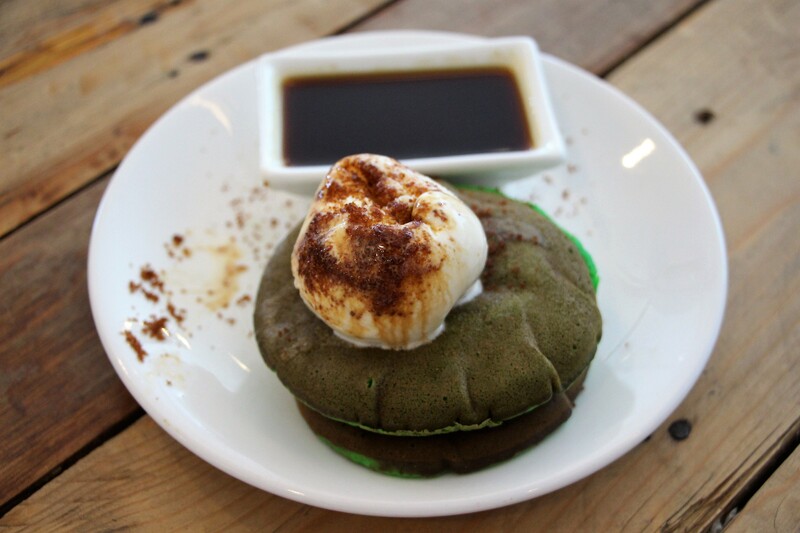 Try this for the pandan and gula jawa that gives the pancake a particularly Southeast Asian twist. Gula Jawa, is a darker, less processed form of palm sugar. Top the warm pancake with cold ice-cream and drench it in the rich sugary syrup, and all is right with the world. Can’t afford to travel to the Maldives? Drink it then in Batam. Chemistree Cafe offers a range of colourful drinks and the Maldives is the most stunning of them all. 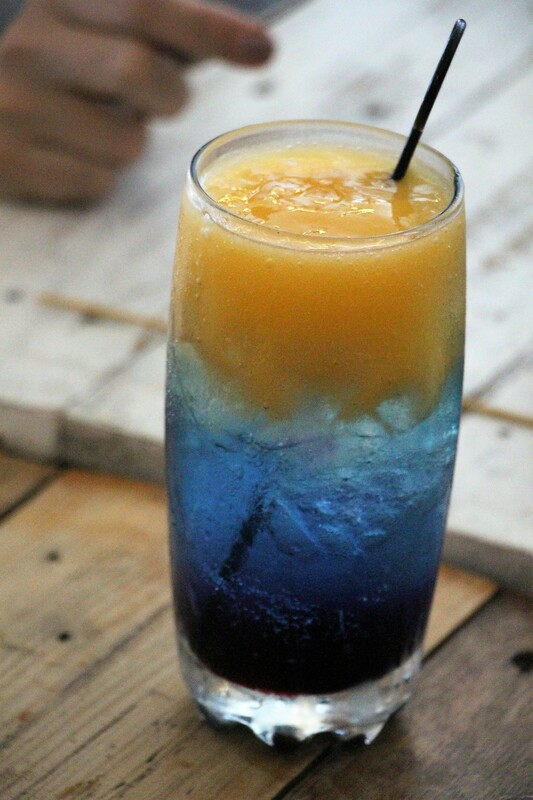 Mango smoothie, curacao and grenadine syrup combine in a gorgeous palette to send you further than the short one-hour boat ride you thought you took. Maldives is a drink to try at Chemistree. 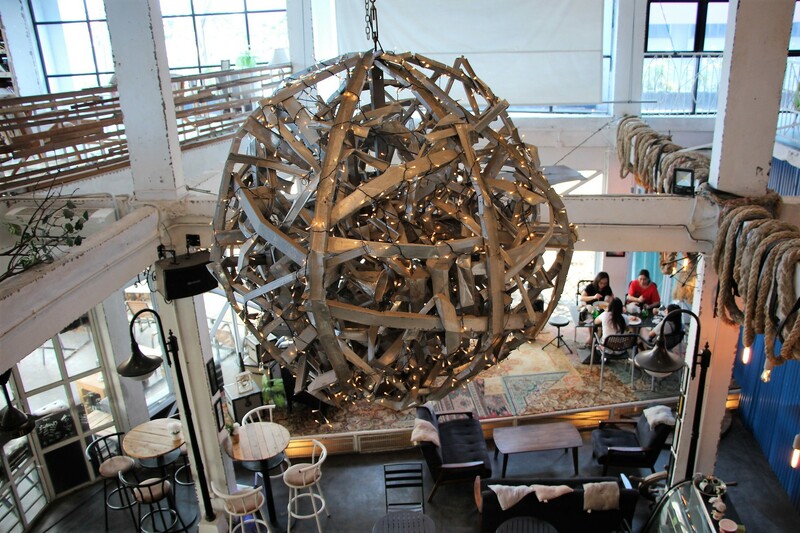 Chemistree is a spacious cafe that offers a large menu and variety in its seating spaces. 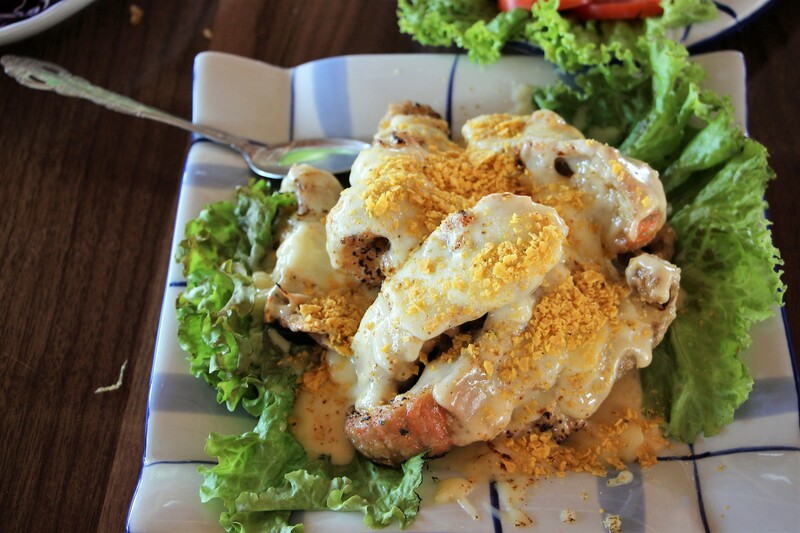 During this short visit, we had a glimpse of the exciting food scene in Batam. While I would focus on the fresh and varied seafood, the cafe and brewery cultures are also growing slowly but surely. 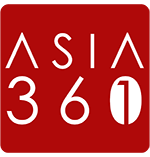 The island is now one of the fastest growing in the world by population, so I would expect the dining scene to develop as rapidly in the coming years. Awesome write up sis! Thanks for introducing the real Batam!